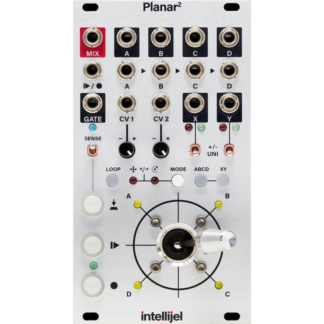 Hands-on signal switching and routing solution for your Eurorack modular synthesiser. 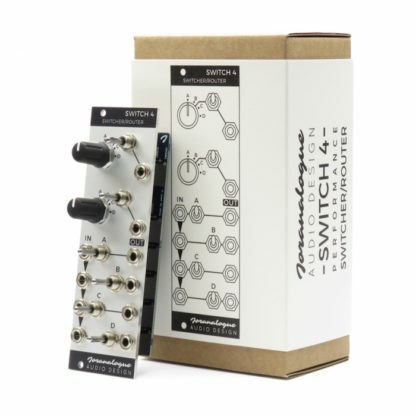 Designed with – and for – performing artists, Switch 4 from Joranalogue delivers a hands-on signal switching and routing solution for your Eurorack modular synthesiser. 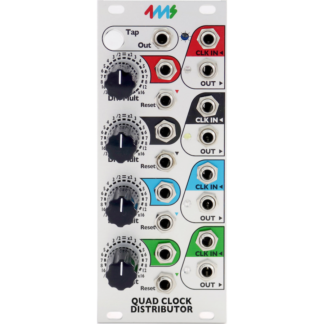 Quickly mute audio signals, trigger envelopes live, select modulation sources on the fly… With custom dual-action toggle switches, an intuitive interface and sturdy construction, Switch 4 will prove just as useful on stage as in the studio. The four input signals are also sent to the top routing section, where two rotary switches allow you to select the signals to be sent to the matching outputs. Here you’ll also find dual-action toggle switches, for added versatility. NOTE: The new & improved Switch 4 revision C includes impedance compensated outputs for enhanced accuracy and +5 V normalisation to easily create manual gates. 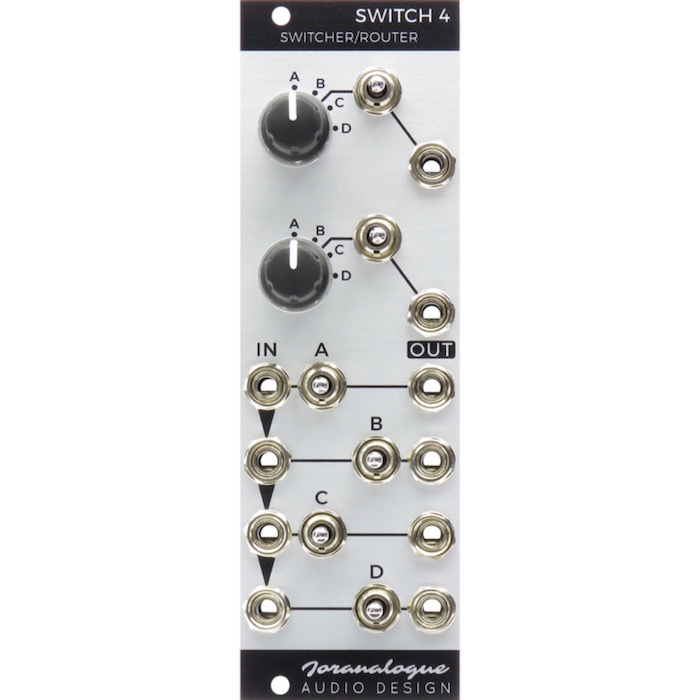 Bottom switching section with four custom dual-action toggle switches. Top routing section with two rotary and two dual-action toggle switches. Inputs normalised sequentially for use as switched multiples. 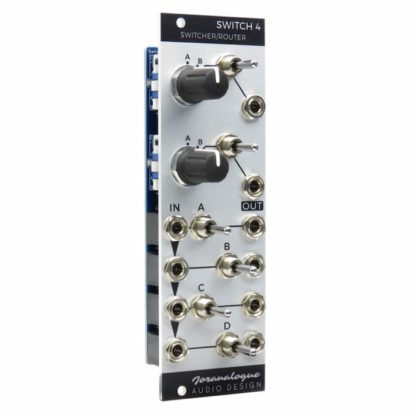 Full analogue buffered signal paths with extremely low noise and distortion. +5 V normalisation to easily create manual gates.